Whether you need a last minute flight to the interior for a business meeting or would like to fly in to a smaller Vancouver Island town on your own time, AC Airways can accommodate you. Have guests in town, or a tourist yourself? 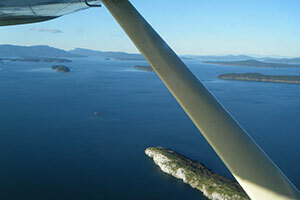 Fly over the north Shore Mountains, or beautiful BC coastline. Flight times with AC Airways are typically 30% faster than other small aircraft available for charter. Approximate flying time range from 20 minutes to Victoria to 120 minutes to Prince George. Our flexibility to meet your schedule will allow for a comfortable trip in a timely fashion. Rocky Mountains as seen from our Cessna 210C.